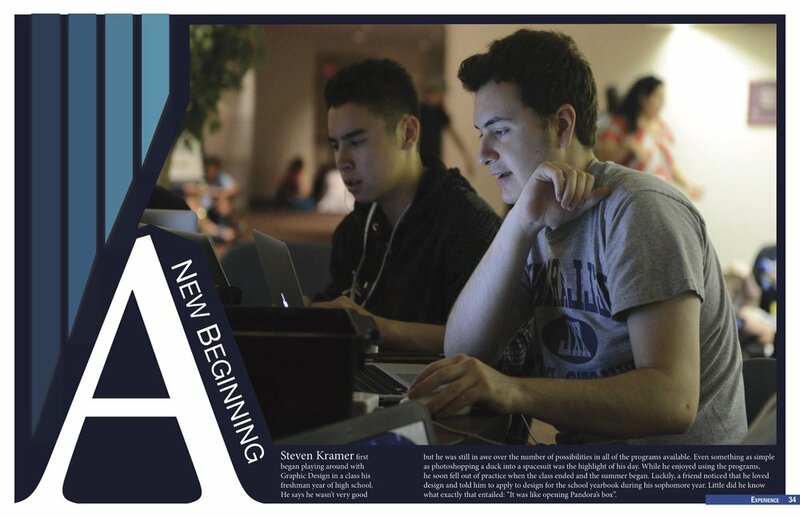 These two page spreads were about a fellow Design III classmate whom I interviewed about when his passion for design started. 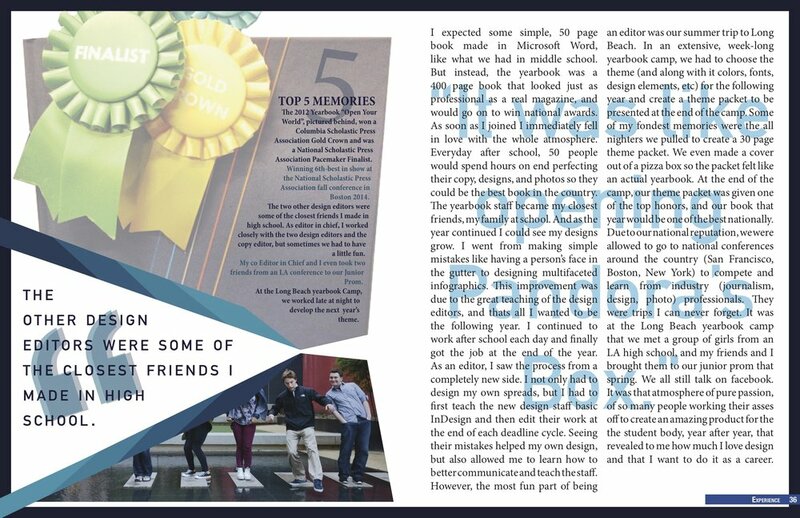 He told me about their award winning yearbook and how he started graphic design in high school, he also provided me with the photos. I wanted the spreads to almost resemble a yearbook layout because of the content. It was made to fall into an “Experience” category of a mock young designer’s magazine.